Countering security threats while keeping our forces safe creates specialized expeditionary warfare and AT/FP support requirements for logistics. LSInc provides proven support to the DoD expeditionary warfare community — from planning, procurement, program management, to training and other specialized functional areas. 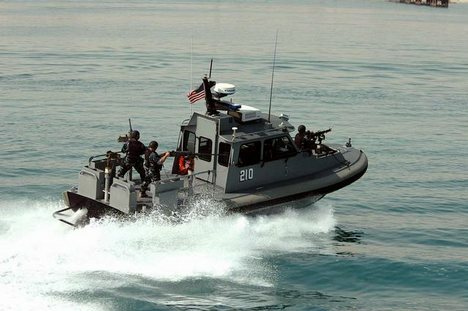 Our expeditionary warfare and AT/FP support capabilities currently being leveraged by the USCG, Naval Sea Systems Command (PMS480), Navy Expeditionary Combat Command (NECC), Maritime Expeditionary Security Force (MESF)- formerly, Naval Coastal Warfare (NCW), Embarked Security Teams, Deep Blue, and Riverine Group, among others. Greater safety and security. LSInc’s diverse expeditionary warfare and AT/FP logistics support capabilities increase personnel safety and the security of ships, ground forces, and facilities. The right material at the right time. Expert supply chain management including requisite transportation acumen assure that forces receive the expeditionary warfare and AT/FP support equipment they need — anywhere the mission takes them worldwide. Enhanced AT/FP readiness. Our planning, logistics and training capabilities support expeditionary warfare and AT/FP support readiness for missions in trouble spots around the globe. Cost-effective program management. We provide the expertise, tools, processes and systems support to help you plan, implement and operate expeditionary warfare and AT/FP support programs for maximum results at best value. Our objective: quantitative cost savings and improvements in readiness. Experienced support. 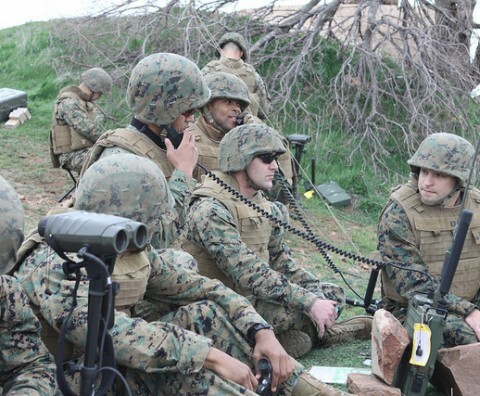 LSInc has provided expeditionary warfare and AT/FP support requirements for a number of years. We draw on the expertise of professionals who have held leadership positions in Navy expeditionary warfare, AT/FP support and logistics programs. LSInc supported the development and maintenance of Table of Allowances(TOA) for Shipboard AT/FP gear and equipment; Allowance Equipage Lists (AEL) for Personal Security Equipment (PSE), EMIO/VBSS AELs, and Unit Allowance Lists (UAL) for all USCG DSFs. We continue to maintain and update a valuable CM tool for managing Coast Guard UALs. By using these TOA/AEL/DSF UALs and the information available in Inventory Databases, LSInc is able to provide customers with advice and recommendations on equipment shortfalls, bulk buy opportunities, resource sharing, and material procurement and acquisition options. LSInc operates warehouses with material managed at the serial number/ IUID level. We execute UID compliance and tracking to support TAV and configuration management requirements. We are also one of the ‘early adopters’ of contractors successfully converting all Operating Materials and Supplies (OM&S) in our custody from legacy systems into Navy Enterprise Resource Planning (ERP). LSInc supports U. S. Navy AT/FP programs by assisting with procurement support; market research; receipt, distribution and warehousing; and providing SCM in the implementation and execution of program requirements. LSInc operates and supports the Navy’s Armor Inspection System (AIS) through the collection, repair, testing and distribution of body armor. We have assisted in the development of data collection and maintenance necessary to prepare metrics for the analysis of ballistic insert failure rate data for all manufacturers of ballistic ceramic plates. This helps our customers formulate budget data to support Life Cycle Management (LCM) of fielded body armor systems. In FY 2012 alone, LSInc recognized Total Ownership Cost Avoidance of Over $3.72 million, with a Return on Investment (ROI) greater than 1.74 X the Cost of the Contractor Support within a single program. In FY2012, LSInc recommended over $8.7M in cost savings/avoidance strategies through the standardization of the UAL of the selected USCG units, generating a Return on Investment of over 770%!